Bay, M. (Producer), & Caruso, D.J. (Director). (2011). 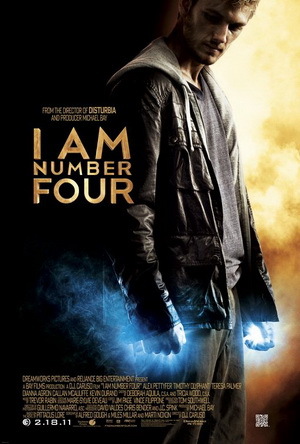 I am number four [Motion picture]. United States: DreamWorks Studios. I am Number Four (film), directed by D.J. 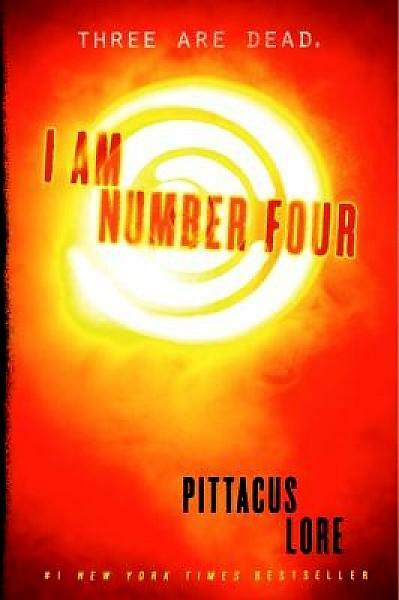 Carusois is based off of the novel I am Number Four, the first book in the Lorien Legacies by Pittacus Lore. The movie begins in the jungle with a boy with extraordinary talents and his guardian being hunted and murdered by aliens. The story then switches to s boy swimming in the ocean at a beach party has a vision of someone being murdered right as his leg lights up and burns a third circular scar on his leg. He got his first scar when he was 6, his second when he was 12, and now at 16, his third. The boy and his guardian instantly leave their home in Florida, change their identities, and even hair color as the resettle in Paradise, Ohio, where the rest of the story takes place. During the drive the audience is given first hand narration by the main character of his alien past. The Mogadorians, who destroyed his home planet Lorien are now on earth. Here, John Smith is protected by his guardian, Henri, a warrior from his home planet assigned to protect him and who poses as his father. Nine gifted children escaped, three are dead, and John is next. These last survivors from Lorien can only be killed in order of their assigned numbers. The nine have Legacies, the gifts of the Lorien Garde. These include special talents, speed, agility, and strength. John already has displays telekinesis and light he can transmit through his hands. The Mogadorians are not colonizers of planets but rather decimators and highly creepy looking with bald, tattooed skulls, unnatural marbled eyes, shark like teeth, and gills around their noses. Lore, P. (2010). I am Number Four. New York, NY: Harper. In Paradise, John befriends Sam whose is targeted by school bullies, because he is labeled as the kid with the freak dad who was always searching for evidence of ancient astronauts. Sam’s father was actually helping the nine locate one another using glowing blue stones from their home planet, similar to tracking devices. At the Halloween festival, Sara’s ex-boyfriend, Mark and his football friends attack John, and not knowing the identity of his attackers he uses his legacies to fight back and is seen by Sam who learns John’s secret. As the movie progresses, the audience experiences a teenage love triangle, an unseen creature being held by the Mogadorians in a semi-truck trailer, a shape shifting creature from his home planet that poses as his pet dog he named Bernie Kosar, and another alien from his planet, Number Six, Jane Doe, whose guardian is also dead and comes prepared for battle with her special alien weapons and her own Legacies of fire and teleportation that believes remaining six need to ban together to stay alive. When the Mogadorians come to Paradise, John refuses to run mainly due to his love for Sarah. For his species, love is forever. Henri is killed leaving John alone, and John, Sam, and Sara when attacked by the Mogs after hours at their high school, John’s dog, a Chimera from his home planet, along with Number Six defend and survive the attack. The film, I am Number Four is non-stop action packed, a combination of both strong female and male characters that are human and alien, a story of self-discovery and love, contains strange animal creatures, and tween/teen heartthrob actresses/actors. The premise of the story may remind some of Superman and the story of his home planet and the television series Smallville. Still the movie does not disappoint regardless of gaps left out from the novel. Still, I am Number Four is a highly entertaining science fiction fantasy film and the cliffhanging ending is sure to encourage anyone who has not already read the novel I am Number Four to do so and the rest of rest of the Lorien Legacy books to fill in the gaps and answer questions such as; can the Mogs be defeated?, will John and Number Six find the other four?, does Sam find his father?, and, will John and Sarah see one another again?. Those that are fans of the movies Push staring Chris Evans and Dakota Fanning or Jumper staring Hayden Christensen will most likely enjoy the movie I am Number Four.